Or, where it all went wrong for Louis van Gaal. Few would have guessed that Jesse Lingard would be one of Manchester United’s most explosive attackers this season. Not after Memphis Depay’s £25 million acquisition in the summer, nor Juan Mata’s rejuvenation. Adnan Januzaj’s determination to find a place in Louis van Gaal’s team early in the campaign also pointed towards Lingard’s exclusion. Yet, with Memphis blowing hot and cold, Mata being pushed into uncomfortable positions on the pitch, and Januzaj shipped out to Borussia Dortmund on loan, Warrington-born Lingard has stepped up and enjoyed a level of performance that any of his peers in the United dressing room could be proud of. Lingard has played around 200 minutes of football for the United first team and was yet called up to the England squad for the national team’s friendly against France this week. Critics questioned Roy Hodgson for selecting such an inexperienced player, citing more storied options who might also have merited an opportunity. Yet, such has been the Englishman’s impact in the past month that Lingard’s call-up was more than deserved. United’s supporters have been eagerly awaiting Lingard’s chance in the first team, with the youngster being perennially around the squad since the twilight of the Sir Alex Ferguson era. Under David Moyes, Lingard was farmed out on loan despite being the club’s pre-season top scorer. It proved to be blessing in disguise considering the detrimental impact Moyes’ reign had on many first-team players. There were early signs of progress after Van Gaal took over in summer 2014, with Lingard scoring the winner against Liverpool in the pre-season International Champions Cup. It might have been the winger’s big break, but for a cruel injury in last season’s opener against Swansea City, which ruled Lingard out of contention for much of the campaign. Nevertheless, the Englishman has shown great determination to fight his way back into his manager’s plans and, apart from Anthony Martial, is now United’s principal attacking threat. Even Ferguson saw the youngster’s seismic potential during his time in charge, predicting big things for the then 19-year-old in 2011. “He will become a player when he’s 22 or so. As an attacking midfielder he has got a really good talent. I think he will be a player we have high hopes for, definitely,” forecasted the former United manager. Under Van Gaal United has looked impotent in attack, with a ponderous form of possession-based football a key tenet of the Dutchman’s reign. The team has struggled to create clear-cut chances and often toiled to break down the opposition with a one-dimensional attacking game-plan. In this context Lingard’s dynamism and sense of fearlessness on either wing is welcome. In fact the 22-year-old has surprised fans with his direct running and verve, which has proven a problem for many of the defenders that he’s had to face this season. More importantly Lingard has already played a part in three vital goals for United. He was heavily involved in the build-up to Martial’s header against CSKA Moscow in the Russian capital, and a sublime first-touch cross was directed at Wayne Rooney for the headed winner in the return leg. Recently, Lingard netted his first goal for United after placing a beautifully weighted finish past Boaz Myhill to open the scoring against a dogged West Bromwich Albion at Old Trafford. Even in the goalless stalemates against Manchester City and Middlesbrough Lingard was the player closest to breaking the deadlock – hitting the bar against both opponents. Indeed, the former academy product has added a new dimension to United’s play. 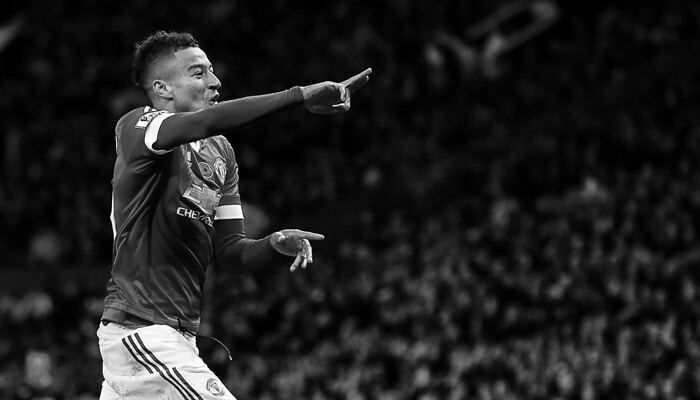 It has quickly enamoured the player to supporters who enjoy Lingard’s enthusiasm on and off the ball – one bright spark in an otherwise turgid attack. Less celebrated, perhaps, but Lingard’s disciplined play is the key difference between Memphis and the player who joined United aged just seven. The Dutchman’s inability to play for the team, along with his poor-decision making, has left Memphis frozen out by Van Gaal. In contrast, Lingard’s selfless play, coupled with the direct threat that he offers, has made the Englishman a firm favorite of the manager already. Lingard’s influence on United’s play has been so decisive that Van Gaal was determined to protect one of his most prized assets at from potential injury by stating that it was much “too early” for the winger to be play for England. The former Barcelona manager, who is relatively conservative in complimenting players, was full of praise for the 22-year-old in an interview with Sky Sports last week. 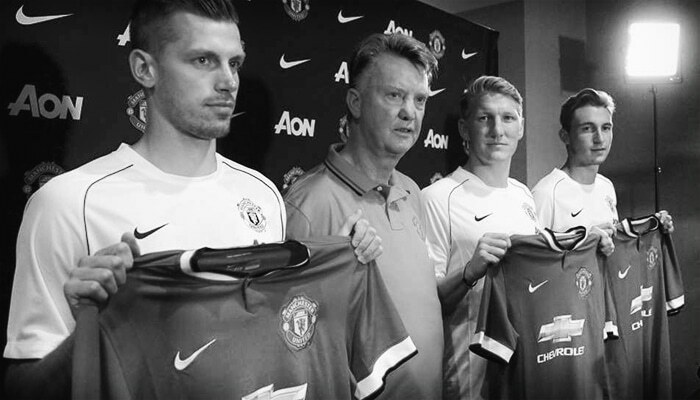 “I am pleased but it is very fast,” Van Gaal added the Dutchman. “It is the circumstances, but still I have congratulated him with his promotion so it is always fine to see how players are developing and because of that he is rewarded. Lavish praise from two of the most successful managers in the history of football; hearts captured on the Stratford End; and a huge responsibility effectively handled. It seems that the sky is the limit for the fleet-footed boy from Warrington. Lingard’s appearance on the bench at Wembley is unlikely be a one-off. When Manchester United announced the signing of Memphis Depay, before the end of last season, United fans were right to be excited about the prospect of watching the Eredivisie top scorer in red. Memphis’ lethal combination of pace and trickery fit well with the Dutch international’s swagger – very much a traditional United wide player. Indeed, Louis van Gaal was so impressed with Memphis that the new recruit was bestowed United’s ‘number seven’ jersey in his début United campaign. Instant comparisons were made with Cristiano Ronaldo, and expectations grew among supporters desperate for a sprinkle of stardust in a squad short of marquee players. Yet, despite a bright start in pre-season, and a fantastic performance against Club Brugge in the Champions League, the Dutchman has underwhelmed. 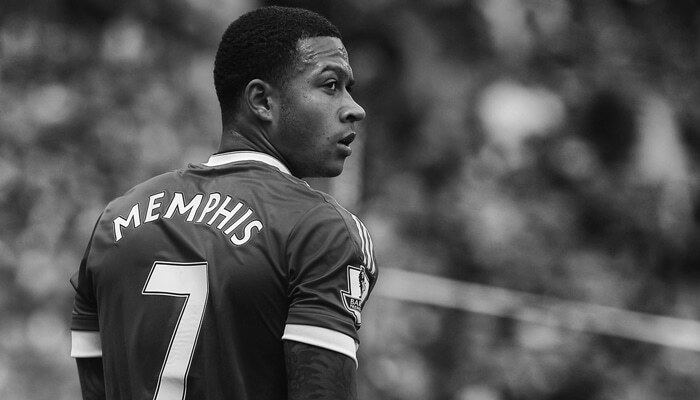 Some might say Memphis is a shell of the mercurial talent that tormented the Dutch league. The winger has found the back of the net just once in the Premier League and his decision-making, a flaw throughout his young career, has not improved over the past 14 games. During United’s heavy defeat at Arsenal Memphis was dispossessed twice more often than the rest of the United team – a damning statistic sure to infuriate a manager obsessed with possession. Fans too have grown impatient, especially in light of the impressive performances by fellow summer signing Anthony Martial. It leads to the obvious question, even early in his time with United, of where Memphis has gone wrong. The player’s stunning form for PSV in the past year led to a host of clubs competing for Memphis’ signature, despite the Dutchman being far from the finished product. In a good PSV side, which contained players such as Georginio Wijnaldum and Luciano Narsingh, Memphis was the main man, still short of his 22nd birthday. It was a team built around the winger’s talents – and he shouldered the responsibility of being PSV’s go-to player with 22 strikes that propelled his team to the title. By contrast, in a United shirt, Memphis has struggled to provide a goal threat, with just 40 per cent of his shots on target in the Premier League. Aside from two stunning strikes in Brugge the player’s shooting has been less accurate than his attacking team-mates. Memphis has been disposed – or had an ‘unsuccessful touch’ – 49 times in eight league appearances to date. Far too many – and data that points to a player too often keen to seek glory and not find a colleague. Yet, Memphis has that explosive turn of pace the skills and the skills that could be a key in United’s attacking triumvirate this season, but, as Angel Di Maria proved, raw talent is not always enough. The Dutchman must improve his all-round game if he is to be part of the long-term furniture at Old Trafford. Memphis’ value is in his role as part of the team collective – and within Van Gaal’s possession-based philosophy. Sub-par performances have seen Memphis hooked at halftime by Van Gaal against Liverpool and Arsenal, while being relegated to the bench in recent games at Everton and CSKA Moscow. There is a growing fear that Memphis might suffer the same fate as Di Maria, who once promised so much, only to leave unhappy after just season in Manchester. Unlike the Argentine, Memphis has always had an exuberant off-the-field presence, and has come to learn of the intense media spotlight on players at United. The English press have already scrutinized every aspect of the Dutchman’s game, personality and behavior – from his dress-sense to social life. The player fanned these flames by heading out on the town following United’s horror show against the Gunners when a low-profile would have served him better. Both publicly and privately, through assistant manager Ryan Giggs, Memphis has been told to moderate his lifestyle, especially in the context of his forgettable performances on the pitch. Giggs is not the only coach to question the winger’s focus. There are many who believe that playing under Van Gaal’s authoritarian regime will help Memphis knuckle down and improve over time. However, murmurs among restless fans will continue to grow as long as sub-par displays on the pitch are coupled with a lack of maturity off it. There is a positive outlook though. Memphis is known as meticulous on the training field; a player who is willing to listen and work hard. Still just 21, the Dutchman can yet be moulded into the player fans expect him to become – especially under Van Gaal, a manager with a proven track record of developing young players. The honeymoon will last only so long though. In the end the former PSV talent must learn to do his talking on the pitch and leave the pan-pipes at home. Should performances fail to improve, while the player’s social life continues to make the headlines, Memphis’ dreams of conquering the Premier League may fade like too many before him. Two months into the summer 2015 transfer window and Louis Van Gaal has certainly strengthened Manchester United’s squad with a quintet of acquisitions. Matteo Darmian is a huge upgrade over Antonio Valencia at right-back and Memphis Depay adds flair and a sense of unpredictability to United’s forward line. Morgan Schneiderlin and the star of United’s transfer window, Bastian Schweinsteiger, provide the Reds with a midfield duo capable of holding its own against high-class opponents. In defence there is reason to think Van Gaal might just stick with what he now has. 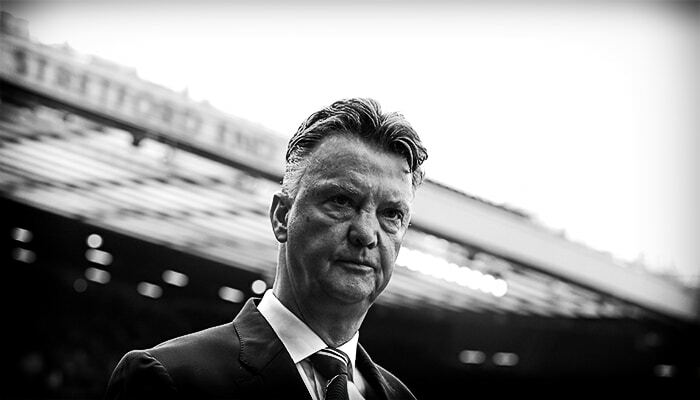 Van Gaal’s philosophy revolves around balance being omnipresent in the starting eleven. There is a strong argument that the purchase of a central defender is essential if the Dutchman is to achieve that goal. After all, since the departure of Nemanja Vidic and Rio Ferdinand, United has often lacked a commanding defender to bring calm to the apparent chaos. Yet, Van Gaal showed faith with the options he had last season, providing each defender with a chance to stake his claim. It has paid some dividend. After being sent off against Manchester City in November Chris Smalling was United’s most impressive centre-back. Smalling’s determined performances were augmented by some crucial goals, including a thunderous header against City to complete his redemption. Especially towards the latter end of the season, Smalling was transformed into a defensive leader, and has carried on this impressive form into the new season. The former Fulham man was central to victories over Tottenham Hotspur and Aston Villa. Smalling’s positioning has been exceptional, allowing him to neutralize Harry Kane on the opening day and Villa’s Rudy Gested. The England international’s passing is also more assured than a year ago, although it remains a cause for concern against an opposition that presses. If Smalling continues this rate of development he could fulfil the potential Sir Alex Ferguson predicted five years ago. Meanwhile, Van Gaal has transformed Daley Blind into a central defender this season, with the Dutch international providing balance on the left. Blind doesn’t boast pace, power or height, but has looked assured in the new role. Blind adds intelligence to the backline and his ability to bring the ball out from the back has instigated several United attacks. The former Ajax player has also formed a good understanding with Smalling. Still, Blind has been caught out a few times in dangerous areas – alarming considering the Dutchman doesn’t have the recovery pace to make up for shortcomings. It is an observation that means Marcos Rojo could well replace Blind in the starting eleven when fit. Rojo showed flashes of quality last season and his aggression reminds supporters of the Serbian rock, Vidic. The Argentine’s reading of the game and his passing range must improve if he is to succeed at United though, while Rojo ‘s positional ill-discipline left more than one gap at the back last season. Nevertheless, the former Sporting man has real character and his robust tackling was a strong feature. Rojo is perhaps the most suitable partner for Smalling and averages a similar number of tackles and interceptions per game. Rojo also boasts an impressive number of clearances. Phil Jones has always held the potential to be a force for the Reds, but injury problems consistently ruin any momentum. Jones’ injuries persisted last season, with the former Blackburn Rovers man taking part in just 22 games. In keeping with the pattern Jones’ has missed the opening three weeks of this season. He was a member of the starting eleven during United’s best period of football from March to April, where the Reds’ defence conceded just four goals, forming a resolute partnership with Smalling. Jones started pre-season brightly, although disappointed against PSG in the final tour game. His positional awareness remains a real weakness at times, most notably allowing a Zlatan Ibrahamovic space to slot a home for PSG. It points to a pivotal season, with a high probability of it being his last chance in Manchester. Jonny Evans, by contrast, is near an Old Trafford exit. Evans’ alarming regression since Ferguson’s retirement continued in 2014/15. The Irishman is an excellent reader of the game, but is bereft of confidence and looks frightened of the ball. It seems unlikely that he will ever recapture his place at United and a move away from the Old Trafford spotlight seems highly likely for the former academy player. Meanwhile, youth players Paddy McNair and Tyler Blackett were thrown into the team last season as injuries took hold. McNair was a surprise starter against Everton in November and barely put a foot wrong in the months to come. He handled the physical presence of Romelu Lukaku, efficiently nullifying the Belgian’s impact. McNair’s reading is impressive, although lapses in concentration caused mistimed tackles and unnecessary fouls at times. McNair has some work to do if he is to become a fixture in the United first team, but the Irishman isn’t fazed by the standard in the Premier League. Blackett, meanwhile, showed promise on the left side of defence, although all momentum was lost after being part of the United horror show at Leicester City. Despite being frozen out of the first team as the season wore on, the Manchester native looked calm and assured when given the opportunity. Blackett is the type of ball playing defender that Van Gaal typically adores. After signing new contracts at the club, big things are expected of both the youngsters in the coming years. Improvement to individuals suggests that, unless a truly world-class defender becomes available, Van Gaal will stick with what he has. After all, there has been a stark improvement United’s defending this season. The individuals have progressed and the understanding between them has created a strong unit after a full pre-season under the Dutchman. Former Barcelona coach Pep Guardiola had little but positivity for Pedro – full name Pedro Eliezer Rodriguez Ledesma – in 2011. It aptly sums up the Catalan winger’s career. Despite the Spanish international winning every trophy attainable before his 23rd birthday, Pedro has been under-appreciated in everywhere outside Catalonia. It is unsurprising considering that a certain diminutive Argentinian also plies his trade at the Spanish club. 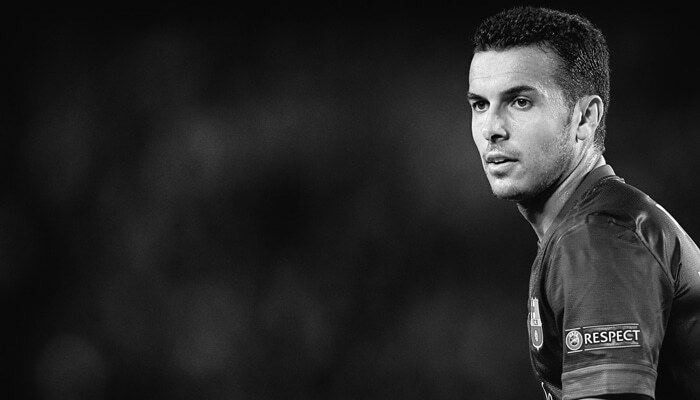 Born in Tenerife, Pedro joined La Masia, the prestigious youth academy of Barcelona, at the age of seventeen in 2005 – a late bloomer seeing that the majority of youth joins the academy before school-leaving age. If it seemed that Pedro would be unable to pick up the Barcelona way at such a stage in his development, then this was just the first hurdle in a career filled with challenges. Indeed, the Spaniard wasn’t fazed by the challenge and became a mainstay in the Barcelona B team – making 37 appearances and scoring seven goals in his first season. Pedro’s efforts earned a first team debut in 2008, although the step up in class meant that he played just seven minutes over the next two campaigns. When Guardiola was appointed Barcelona coach in May 2008 Pedro was one of the first players, along with Sergio Busquets, to be thrown into the spotlight by the former youth team manager. Despite receiving discouraging advice about Pedro from the academy staff, Guardiola’s immense faith in the player’s abilities and a distinct plans for the young winger prevailed. Pedro repaid his manager’s trust and sparkled during Barcelona’s treble winning season of 2009/10, enjoying the best conversation rate of any player in La Liga. The Spaniard also became the first player to score a goal in six different competitions that season, justifying Guardiola’s risk. Pedro thrived during his mentor’s trophy–laden years – a remarkable period in Blaugrana history. The player scored 45 goals during a golden spell between 2009 and 2011. Guardiola’s departure precipitated regression among several Barcelona players, notably Pedro. Tata Martino had little trust in the winger and then the Luis Enrique era brought a series of particularly poor performances. High-quality additions, such as Neymar and Luis Suarez, certainly improved Barcelona, but further limited the Spanish World Cup winner’s chances. Arda Turan reinforces Pedro’s second-choice status at Camp Nou. With a point to prove, there is no doubt that Pedro is in dire need of a fresh start. Throughout the summer Pedro has been linked with a host of clubs – nearly all of them in the English Premier League. The Liverpool Echo reported Pedro as Brendan Rodger’s ideal replacement for Raheem Sterling back in June, while earlier this summer the Telegraph noted Jose Mourinho’s fondness for the player. The flurry of speculation has left a sense of collective confusion about where the Spaniard will actually land. It was little surprise that reports soon surfaced of Manchester United entering the race for Pedro, with the Mirror first noting Louis Van Gaal’s apparent interest in the winger as a replacement for PSG-bound Angel Di Maria. In recent days United’s interest has ramped up, with talks reportedly held between the Spaniard’s entourage and the United hierarchy. United’s interest in the player might disappoint some fans looking for a marquee signing in the wake of Di Maria’s impending departure. Nevertheless, the Spanish treble winner should prove to be a strong addition to the United squad. Not least because, after dropping to a squad position at Barcelona, Pedro would be greatly satisfied with the integral role on offer to him in Manchester. Despite a dip in form the La Masia graduate has the qualities associated with a typical United winger. A return of 11 goals and 6 assists last season isn’t impressive, but given that Pedro started only 16 games, his numbers come with some context. Similar to recent United signing, Memphis Depay, Pedro is blessed with pace and his acquisition would provide Ashley Young with strong competition down the left. Pedro’s movement on the pitch is particularly intelligent, which normally means a strong flow of chances for his teammates. Wayne Rooney would certainly relish this aspect of Pedro’s game. The Spanish international’s key strength is his ability to pop up with decisive goals when needed most. For example, Pedro’s performance in the 2009 Domestic Supercup against Athletic Bilbao and a winner scored against Shakthar Donetsk in Uefa Supercup of that year. The winger’s mercurial nature, combined with an ability to be effective in any position across the forward line, explains Van Gaal’s interest. Indeed, there is a strong resemblance to the style of Van Gaal’s German protégé, Thomas Muller. The presence of fellow Spaniards, Ander Herrera and Juan Mata means that the bedding in period usually required for foreign signings could be minimised. A few days past his 28th birthday, Pedro has just entered his theoretical peak years and brings vast experience due to his presence in Barcelona’s remarkable period of dominance. There are, of course, certain facets of Pedro’s game that need to be fine-tuned for the Premier League, with his lack of strength an area that needs to be worked on if he is to succeed in the physically imposing English game. Pedro will never be the player who sells out a stadium, but his worth to United negates that observation. He is the type of player who offers much in a collective and should have no problem fitting into Van Gaal’s system. Those at Barcelona have never doubted his talents, but Pedro has perennially remained in the shadows of more storied players. A move to the bright lights of Old Trafford could allow the boy from Tenerife to finally step out of the shadows. 11 February 2015. Manchester United beat Burnley with a 3-1 scoreline that flattered to deceive. It was a game in which Louis van Gaal deployed his captain, Wayne Rooney in a midfield holding role. Rooney featured in 14 games in midfield last season, with the Reds’ best striker largely wasted in the centre of the pitch. Meanwhile, United’s midfield continued to rely heavily on Michael Carrick, a player only truly appreciated in the red of Manchester. Even approaching his mid-30s Carrick offers the ‘balance’ that Van Gaal craves; without the Englishman, United looked out of sorts for large parts of the season. And yet United splurged over £150 million last summer, leaving aside the crucial purchase of a defensive midfielder, Daley Blind notwithstanding. In keeping with his predecessors Van Gaal chose not to augment Carrick’s presence – a predicament that has lingered since Roy Keane unceremoniously left the club in 2005. In fact, until Bastian Schweinsteiger and Morgan Schneiderlin joined this summer, Owen Hargreaves was the only natural replacement for the Irishman acquired in nearly 10 years. Last season Van Gaal’s methodology in selecting a midfield pair appeared to revolve around which players would best cope with the opposition. This policy of damage control worked effectively – to a point – due to the grit and determination of Ander Herrera and Marouane Fellaini, in particular. The pair embodied the manager’s determination to reach the Premier League top four regardless of United’s squad deficiencies. Yet, this approach cannot continue if the title-winning days are to return to Old Trafford. 18 July 2015. United played Club America in Seattle, enjoying a 1-0 victory in the club’s first pre-season game of the 2015/16 campaign. Following the flurry of recent arrivals at Carrington anticipation for United’s return to action was high. While the Reds’ performance was far from perfect in the Pacific Northwest midfield was largely except from criticism. After all, the £40 million investment on Schweinsteiger and Schneiderlin leaves Van Gaal with a midfield that can be compared to Europe’s élite; a mix of creativity and experience to be envied. In Schneiderlin, the Reds have acquired a player who rectifies many deficiencies in midfield. The ex-Southampton man offers proven Premier League experience and excelled as the Saints finished a strong seventh last season. The French international adds much-needed steel to a midfield lacking bite, as was clear in a dominant display against Club America. In Schneiderlin’s first 45 minutes as a Red the Frenchman screened the defence well and swiftly snuffed out America attacks. It is not just Schneiderlin’s defensive performance that impressed. Van Gaal repeatedly bemoaned United’s lack of height last season when it came to set pieces. If Schneiderlin’s towering header in the fifth minute is anything to go by there will be fewer complaints from the Dutchman this season. And with Schneiderlin’s peak years ahead of him the Frenchman could be a fixture in the United squad for seasons to come. However strong Schneiderlin’s performance the limelight was stolen by Bastian Schweinsteiger in Seattle. The first German to play for United, Schweinsteiger’s capture may prove to be Ed Woodward’s finest piece of business. Not since Keane have United supporters enjoyed a domineering midfielder who dictates proceedings. In his first 45 minutes in a United shirt Schweinsteiger showed that he can do just that. Primarily deployed alongside younger players in the second half, the former-Bayern Munich man brought a sense of calmness to the midfield, allowing Andreas Pereira to confidently play his own game. Not only is Schweinsteiger one of the most technically gifted players in Europe, but the World Cup winner also brings a significant amount of leadership to a United dressing room that lacked authority over the past two seasons. While there are doubts over Schweinsteiger’s age and fitness, with the German international approaching his 31st birthday, there remains much to the midfielder’s game. Technically, the German captain will continue to improve with age, and if anyone can squeeze more from Schweinsteiger is it Van Gaal, the man who first converted the player from a winger to a holding midfield role during his time at the Allianz Arena. Beyond the new signings the club is blessed with options in central midfield: Herrera, Fellaini, Blind, Carrick and Juan Mata. If Van Gaal, as it seems, deploys his preferred 4-3-3 system, the two new acquisitions will be a part of the midfield three. The intriguing question remains who will become the third player in the centre of the pitch. After a tremendous first season at the club Herrera might expect to be in place to provide foil to the aptly nicknamed ‘Schmidfield’. The Spaniard brings energy and dynamism to midfield, although Van Gaal’s admiration for Carrick is clear. Indeed, the Dutchman has reassured Carrick of his importance to the team, according to Manchester Evening News, and the Englishman will remain vice-captain. It is a reasonable position after the pivotal role Carrick played last season and the former Spurs man will almost certainly be part of the starting XI when fit. This potentially leaves Herrera and perhaps Mata with a diminished role. With Herrera proving his worth last season, and his compatriot impressing in pre-season, Van Gaal is left with a selection headache in midfield. One player who might not provide competition in midfield is Blind, who started the games against Club America and San Jose Earthquakes in the centre of defence. He may continue to be deployed in the role for the rest of the season – Van Gaal suggested as much in his post-match press conference. Not least because of the Dutchman’s preference for a left-footed player in one of the centre back slots. How Van Gaal solves this midfield puzzle, while keeping his clutch of stars happy, will be one of the most fascinating storylines in the coming season. The former-Ajax coach is ruthless enough to discard players who fail to meet expectations. Former protégés, Victor Valdes and Robin Van Persie offer proof enough this summer. With United’s midfield resources now overloaded, there are many players with a point to prove. It’s a day supporters have been waiting for since the day Paul Scholes hung up his boots. A few months ago it looked certain that Ilkay Gündoğan would be heading through the exit door at Signal Iduna Park and into the arms of the red half of Manchester. At one stage Sky Germany even reported a transfer done – pending a medical that never materialised. Soon the rash of media reports went cold and the story was dismissed as another agent pushing for a move and not a deal actually completed. Reports soon emerged linking Gündoğan to other European heavyweights: Barcelona, Bayern Munich, Manchester City and Arsenal. It became clear that, after a disastrous season at Borussia Dortmund, Gündoğan was looking for a new challenge – along with a club that could match his hefty wage demands. This led to a flurry of stories about the player’s excessive wage demands, along with ‘medicals’ reported at more than one club across the continent. It took a statement by the player, denying an imminent move, to quash the column inches. The statement itself was not surprising to those who have followed the German born to Turkish parents. From humble beginnings, Gündoğan fought his way from the reserve team at VFL Bochum to FC Nurnberg, where he made 50 appearances over three years. The highlight was a performance against Bayern Munich where Gündoğan was the best player on the pitch despite being a month shy of his 19th birthday. Gündoğan’s performances for the lower Bundesliga club earned a move to Dortmund for €4 million in 2011 and, throughout his career, he has let his performances on the pitch do the talking. It makes the apparent receptiveness to his agent’s whim this summer all the more surprising. Still, the Gelsenkirchen native is no modern-day ‘mercenary’. According to Bild, Gündoğan rejected a contract offer from PSG worth about €12 million a season. The German is desperate to prove himself at a higher level, but will only leave Dortmund for one of Europe’s elite clubs. This summer’s saga still had one final twist though. According to credible German reports Gündoğan rejected both Barcelona and Bayern Munich due to the inadequate contracts offered. The clubs were reportedly “shocked” at the player’s demands and ended negotiations. 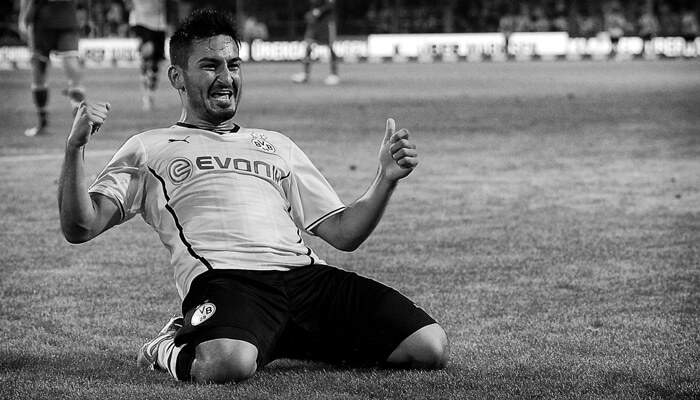 Then, with all roads out of Dortmund seemingly closed, Gündoğan renewed his deal at Dortmund for a further two years. Inadvertently, perhaps, Gündoğan made the most sensible decision. After a long injury layoff the 24-year-old is gradually getting back to the scintillating level of 2013, which brought the attention of Europe’s biggest clubs. The way Gündoğan dominated the Champions League semi-final against Real Madrid is remembered well across the continent. At his best, Gündoğan was a marauding force who could dictate a game, with the opposition rarely able to stifle his influence. The German won’t grab attacking headlines, like team-mate Marco Reus, but his impact on the game for both club and country could once again be crucial. Ask Pep Guardiola, whose Bayern team had to face Gündoğan at his peak in the 2013 DFL Supercup. Despite losing the talismanic Mario Gotze that summer Dortmund arguably retained the most crucial player on the pitch. Every significant Dortmund attack flowed through Gündoğan. Indeed, Gündoğan looked in prime position to step into the spotlight left by Gotze – only for a back injury to keep him out for most of the season. Recent links to United made sense, of course. Gündoğan’s blend of energy and intelligence is a perfect fit for a club of United stature. Or would have been before Louis van Gaal spent more than £40 million on Bastian Schweinsteiger and Morgan Schneiderlin. At his peak Gündoğan might have made the perfect replacement for Paul Scholes. The ability to control the build up, coupled with an eye for a pass, bares a strong resemblance to the ginger-haired United legend. And while Gündoğan isn’t the physical behemoth of, say, Chelsea’s Nemanja Matic, he has the awareness to know just when to step in and gain possession for his team. His underrated ability to win the ball is similar to the way Michael Carrick operates for United. Still, it is understandable that Van Gaal has gone for known qualities this summer. Since Gündoğan’s breakout season in 2013 the German suffered a serious spinal compression injury, which kept him out of action for major periods of the past two campaigns. He has shown glimpses of those explosive performances of old, but they have been all too rare. It would have been a major gamble for Van Gaal, who is in desperate need of midfield control, to acquire an injury-prone player who is only now moving past his troubles. Considering Carrick’s fragility – with the Englishman approaching the latter years of a fine career – Gündoğan would have posed a risk too far. Instead, the saga has been put to bed for this summer at least. If Gündoğan is able to recapture the form of 2013 on a more consistent basis then United could do worse than to pursue a deal for the German once Carrick hangs up his boots – albeit an unlikely scenario given Schweinsteiger and Schneiderlin’s arrival. In 2013 Gündoğan fit United’s needs like a glove. It is a transfer that seemed a certainty at one point this summer. Fast forward two years and the player will probably be just one more star who seemed destined to don the famous red strip, but ended up spending his career elsewhere. Both parties might wonder what could have been.